Need Help With Your Handbells? Inspection, repair, and adjustments made to Malmark or Schulmerich handbells and choirchimes. I'm also available to lead a workshop for your handbell choir, tailored to your needs. 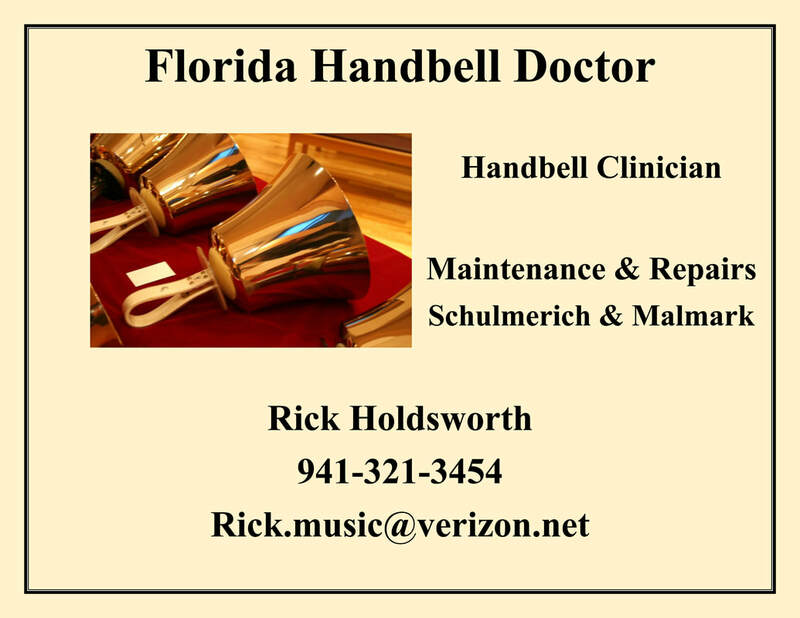 ​Rick Holdsworth - The Florida Handbell Doctor.